Karnataka SSLC Result 2019: KSEEB 10th Results are declared at karresults.nic.in and kseeb.kar.nic.in. Karnataka Secondary Education Examination Board held SSLC 2019 Examinations successfully and the candidates who have appeared in this exam they are also eagerly waiting to get their result. Candidates are expects result in the 2nd week of May 2019 authorities also updates all the details about the result at the official web portal, in order to check the result candidates advised to keep touch with the official website. All the necessary details about the Karnataka Board 10th Result 2019 also available at the official link, so candidates easily refer the latest information about the exam and result with ease. Every year large number of students take this exam; even candidates prepare well to get good scores in this exam. The score will be important to continue their studies. The authorities do not provide any details about the result confirmation; the result will be available soon for your reference. The authorities also make lots of changes in the result in yearly basis and the result will be published under different categories. In order to check the result candidates advised to check the reliable portal or source, it is the stress free way to check Karnataka Board SSLC Result 2019. To get the result, candidates need to give their roll number, name, mobile number, email id and date of birth. The candidates easily check their results by visiting karresults.nic.in; it is the official website of the board. Karnataka Board SSLC Result 2019 Date? Last year Karnataka Secondary Education Examination Board has declared SSLC Result on 12th may. So This is also results likely to be announced in the month of May 2019. Every year the result will be available at this site for your verification. Every candidate check their results by following simple steps, so it is the most effective choices to check result with ease, now some advanced facilities introduced to enhance the comfort level of the candidates, like the candidates have chances to receive latest updates about their class 10th result by registering their email id and mobile number in the respective web portal. 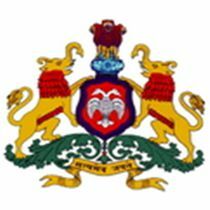 Students, who want to check their results first, can visit http://manabadi.com/karnataka. Karnataka Secondary Education Examination Board came in to existence in the year 1966, has been conducting SSLC and other examinations. Every year the student strength is increasing tremendously. Every year in March/April about 8.40 Lakhs & in June 1.50 Lakhs Expected students are appearing for the SSLC examinations. In general, candidates interested to get their score to choose clear cut career plans. The score plays vital role in the student’s career, every candidate interested to get huge marks on the SSLC exam. The Karnataka Secondary Education Examination Board update latest information regarding Result 2019 at the official web portal for the candidate’s welfare. So the students who are eagerly waiting for their KSEEB 10th Result 2019 they also advised to refer latest information by visiting the direct link provided by the authorities. Candidates also have chances to get latest information about the Karnataka Board SSLC Result 2019 via SMS, in order to get updates, alerts on your mobile handset you need to register your name, mobile number and email id at the respective website. By the way, you will be receiving updates about KSEEB 10th Results. How To Check KSEEB SSLC Results March 2019? The downloading instructions of the Karnataka SSLC Results 2019 are also provided below so all the candidates recommended to follow the given instructions to get their respective result. At First you may click the official web portal which is karresults.nic. in, it is the direct link provided by the authorities. After that you need to click on the Karnataka SSLC Result 2019 page, and then you need to enter respective details like your name, date of birth, roll number. Then press save button to download the scorecard at the same time press the print button to get print out for your future reference. Hence, follow the provided instructions to download the result, in is the stress free way to download your score card for your future verification.